SprintBooster is a do-it-yourself performance enhancement module that greatly improves throttle response in the Jeep Wrangler JL. SprintBooster works with the "drive-by-wire" electronically controlled throttle system. The module sends an improved signal to the ETC (Electronic Throttle Control) which is amplified or "boosted" so that throttle is noticeably more responsive throughout the entire rpm range. Simple plug N play installation requires no drilling splicing or vehicle modifications. Installs above the accelerator pedal in minutes. The included wired pendant provides selectability between 3 different acceleration programs. With pendant LED light off, factory setting is maintained. Green LED signals moderate acceleration gain while Red signals an aggressive setting. The programs can be changed on-the-fly so the driver has the ability to switch between the different programs while driving. Two Year Limited Warranty. Sprint Booster makes your car's throttle respond faster to your foot. As a result, your gas pedal actually achieves a full throttle response 25% sooner than the stock configuration. 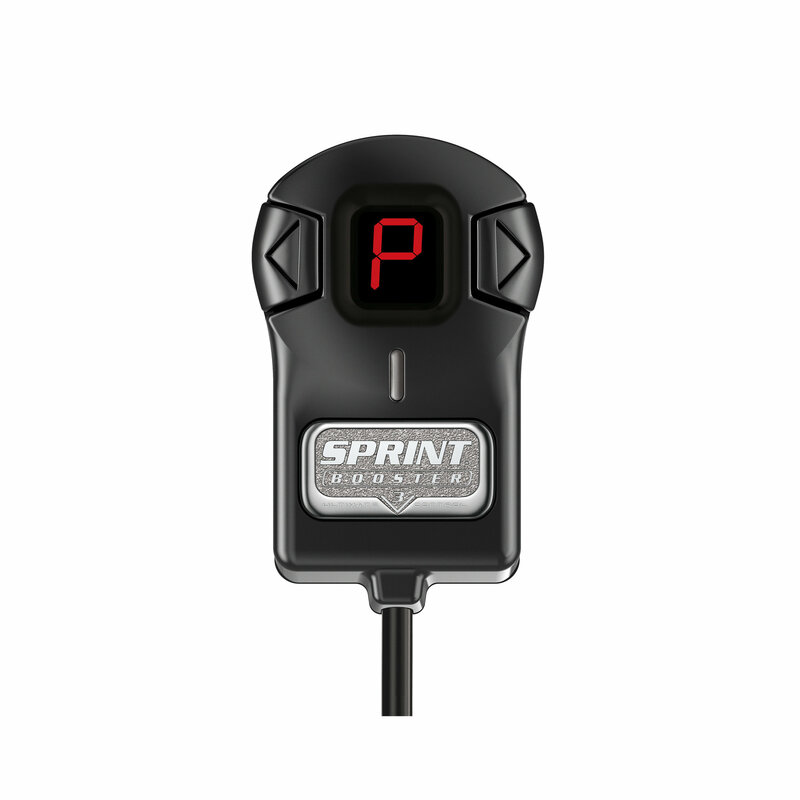 Even if you have a 'sport' button, Sprint Booster will quicken the throttle response time. By making the throttle respond faster to your input, you will feel as though your car has more muscle than it really does! Sprint Booster does not increase Horsepower. 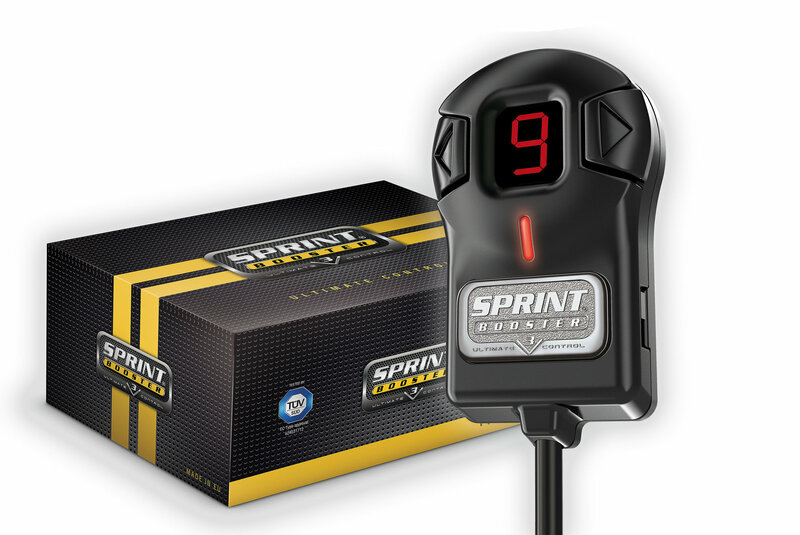 Sprint Booster does not reduce your 0-60mph times. Sprint Booster DOES make your car 'FEEL' faster. 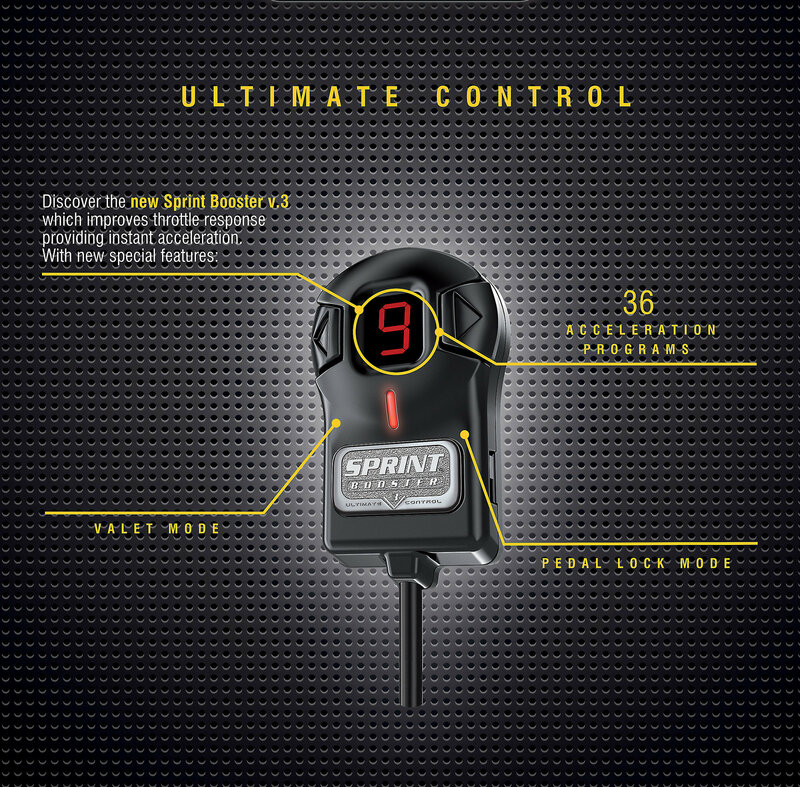 Sprint Booster modifies the signal between the accelerator pedal module and the electronic throttle body. This modified signal forces the throttle body to open 'more' than the stock signal at a given pedal position. In effect, the idle-to-full-throttle pedal travel is reduced. This makes your car 'feel' more powerful because a given pedal input produces greater throttle opening. This is especially evident in the low to mid rpm range where most cars spend their time on the street. Sprint Booster simply modifies the throttle signal between the accelerator pedal and the throttle body. Big deal right? Keep in mind, this is the same concept as the 'throttle pulley' modification on cable based throttle systems - which was very popular in it's time. It doesn't add horsepower, but makes the throttle more sensitive and makes the car 'feel' faster. It doesn't matter if you have a Sport Mode, ECU software, or 'Chip' on your car, Sprint Booster works independently of other modifications. It simply makes the throttle more sensitive, making the car 'feel' faster. The V3 Features Valet mode & Pedal lock mode which allows the driver to disable the acceleration ability (pedal lock) as well as limit the rate of acceleration (Valet mode) when the vehicle is not driven by the owner. Sprint Booster is most effective in the low to mid rpm range, which is where most 'street' cars are driven on a daily basis. Yes, you may need to adjust your driving style after installing Sprint Booster - but that is a short learning curve. 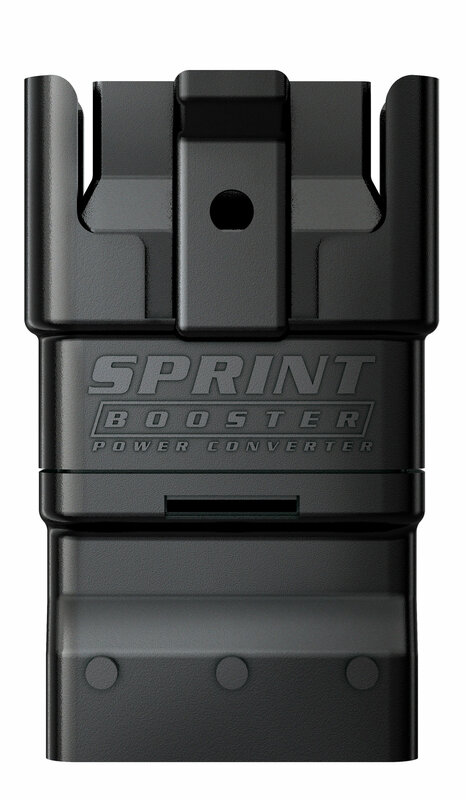 Sprint Booster will put the 'fun' back into your daily drive. Just try it! Make your daily drive more 'fun'. Unplug the harness from the accelerator module. Plug in the SprintBooster inline with the harness and accelerator module.